At S&P we offer you various solutions to ensure the correct extraction of the vitiated air and vapours from the domestic kitchens. In our wide range of hoods and kitchen groups you can find decorative bells with elegant design, traditional bells adaptable to any room and remote extraction hoods, so you can choose the solution that best suits your needs. Discover the range of S&P cooker hoods and ranges and choose the best solution for your kitchen. 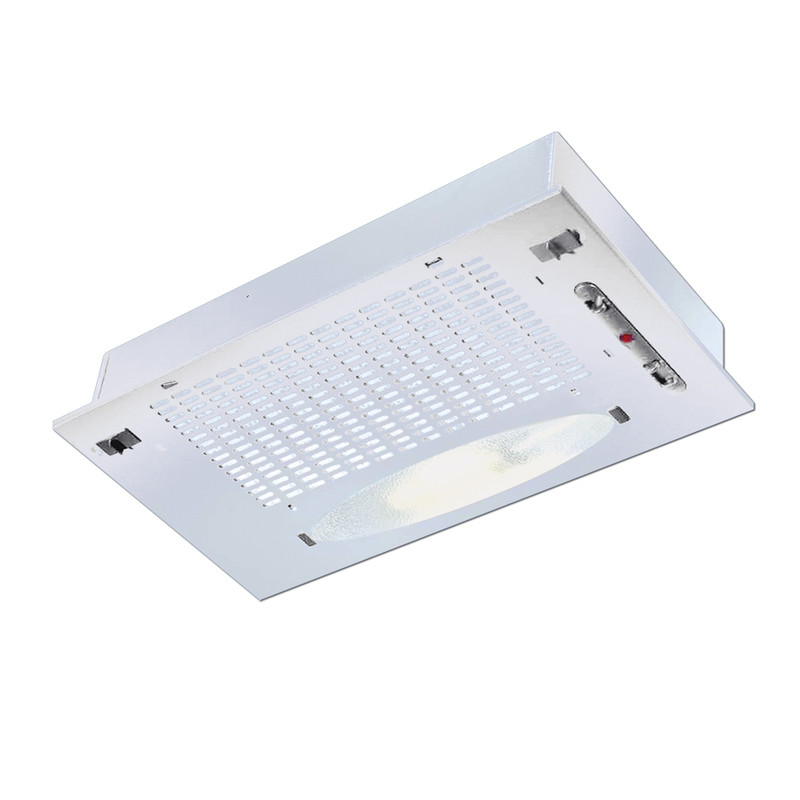 The decorative kitchen hoods of the Isla Cristal series are characterized by their condenser motor and professional aluminium filters. This range has a front pushbutton type selector, telescopic chimney and anti-return damper. Box Inox range of decorative bells have capacitor motor, professional type filters and telescopic chimney fitting. These hoods have a frontal push button to select speed and a backdraft shutter. 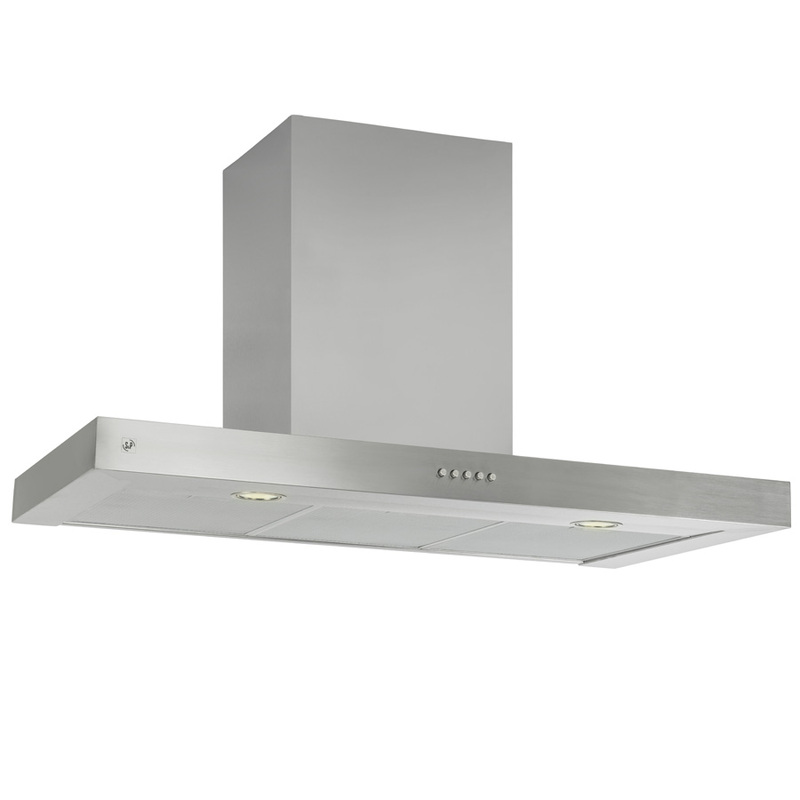 The decorative kitchen hoods of the HA-E series feature professional-grade aluminium filters. The speed selector of this hood is on a front push button. These equipments have a backdraft shutter and telescopic chimney fitting. The traditional kitchen range GL, are built-in type and feature professional-grade aluminium filter and non-return gate. The evacuation of these bells is superior and can be ordered in different colours: brown or white. The decorative bells of the Onda Cristal range are composed of a condenser motor, aluminium filters of professional type, selector of speeds in a frontal push button, telescopic chimney and non-return gate. In addition, these equipment have a discharge reducer of 150 to 120 mm for ducts of Ø 120.